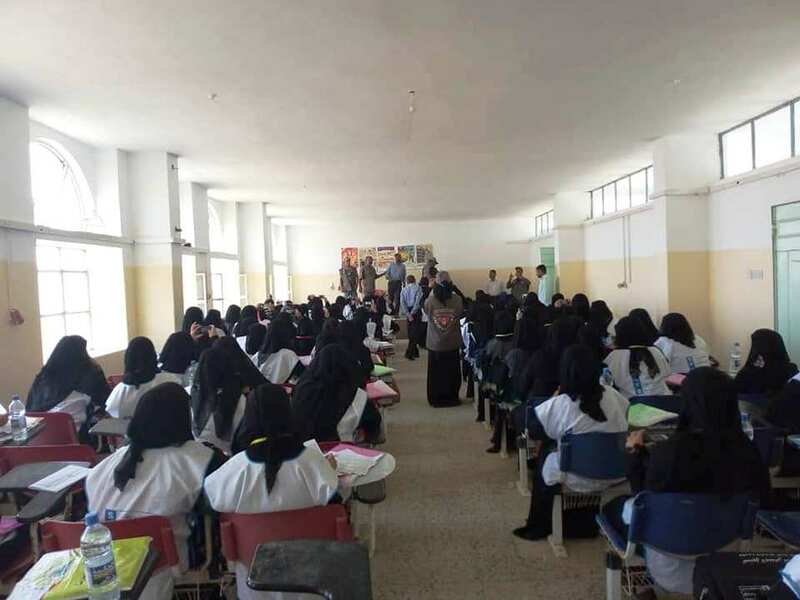 Within the activities of the Cash for Nutrition project, a refresher course for 120 community female health educators from different districts, was concluded in Haifan district, Taiz Governorate. The educators have been employed temporarily to educate 5,148 beneficiaries of the project. The training centered on several issues, the most important of which were the preparation of regular reports and communication skills required during their field activities, keeping records and statistical reports, the different forms concerning clients of the nutrition treatment centers, ways to follow up on cases of malnutrition of pregnant and lactating women and children under 5 years, the challenges snagging the work of the educators in the community and the relevant technical and administrative solutions. It is worth mentioning that the management and project team had carried out supervisory visits to assess the performance of the work of the community health educators in the field awareness sessions, as well as evaluating the level of the beneficiaries' understanding of the health education subjects received in the sessions and the performance of house-to-house visits conducted during the last period of the project.